If your home or business recently suffered water damage, seriously consider mold removal. Molds can be very toxic. It can make you sick with symptoms that can be mildly inconvenient to life threatening. Mold thrives, in carpeting behind walls and any dark, damp area of your home. Water intrusion left unattended leads to mold which will quickly spread through all soft organic materials such as wood, drywall, and insulation. Many areas of San Diego country are particularly prone to mold due coastal conditions or natural water leeching in the soil. 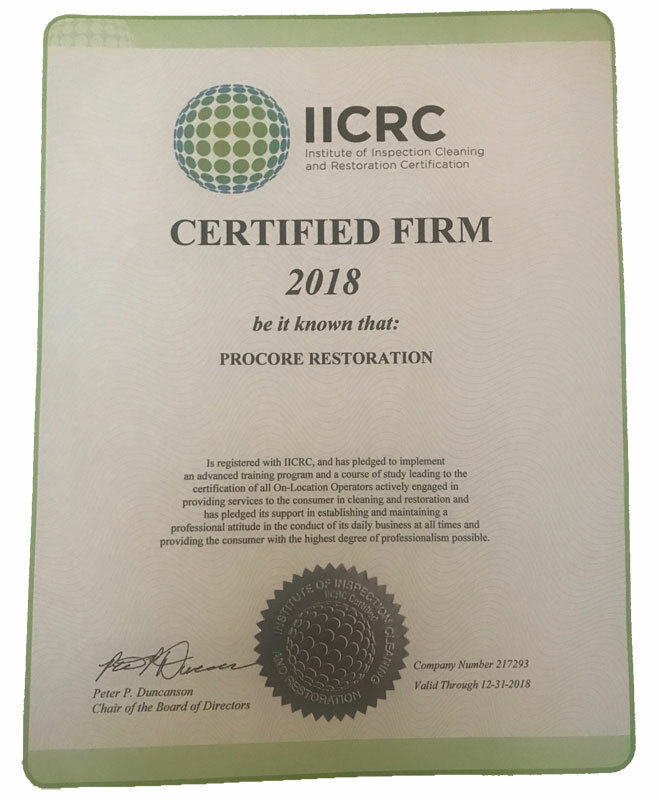 If you suspect mold in your home, call ProCore. We will inspect and, if necessary, mitigate your home of mold. Our licensed professionals are trained in the latest, most effective mold testing and remediation procedures. We use only the most state of the art equipment.